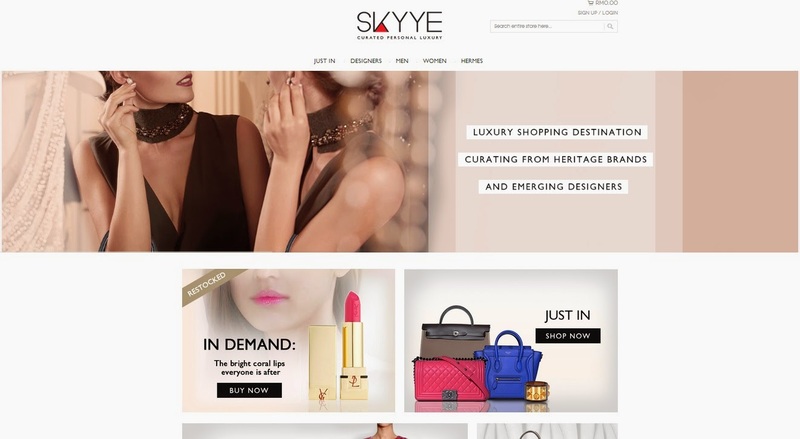 SKYYE.COM is one of the latest online destination for high-end, luxury goods from brands like Hermes, Chanel, Celine and other rare, limited edition fashion finds. The website offers curated pieces from top designer brands sourced from a trusted network of authorised distributors across Europe. Standing by its promise of 100% authentic and impeccable products, Malaysians can now buy from a range of high-value fashion items like bags, shoes, accessories and ready to wear with ease and confidence. Their brand promise is simple - handpicked, authentic designer merchandise and personalised customer service. All unique, hard to find items for you to shop from your own private space and a personal concierge at your service when you need it.